Oscar is in Sāmoa. Who is dancing? Who is singing? Who is playing musical instruments? This story could be used in topics of music and performing arts. Children could make connections with how they use music in song, dance and musical instruments. 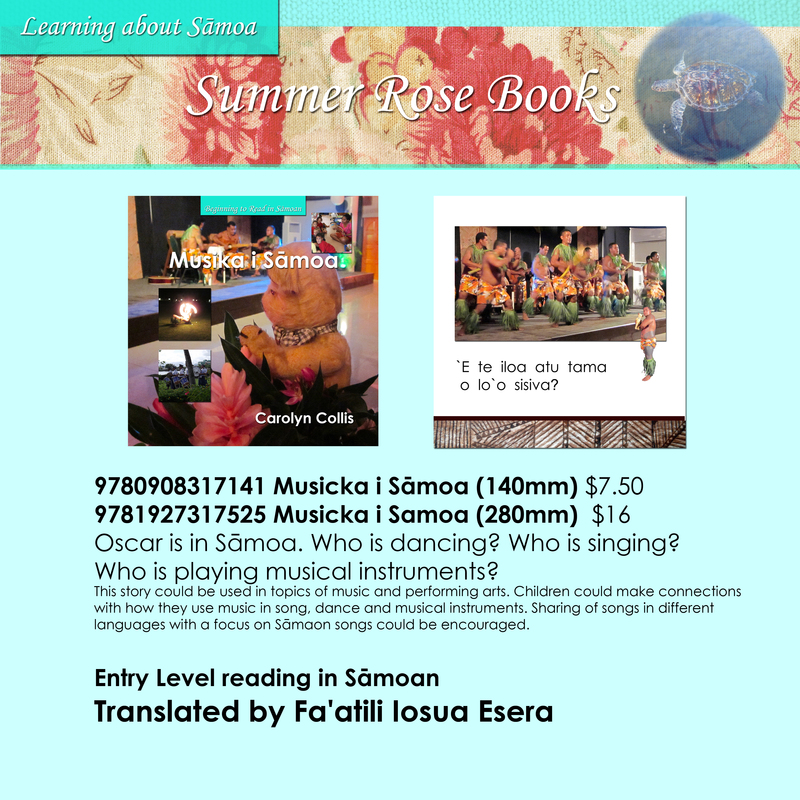 Sharing of songs in different languages with a focus on Sāmaon songs could be encouraged.